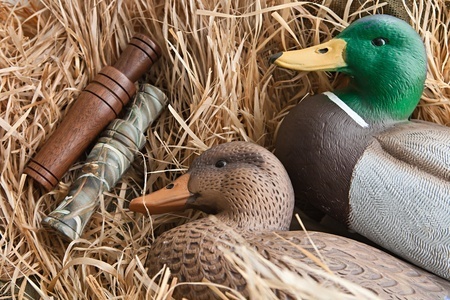 Duck season will be approaching soon with October just around the corner, and hunters are already beginning to gear up. Duck hunting is a fairly long season, ranging from the beginning of October to early February. You will be able to spend many days and weeks in the highly populated duck areas, and will hopefully bring home plenty of bird to provide tasty meals during the cold months. If you want to get ahead of the game this year so that you’re prepared for the first day, here is a simple guide with 3 tips to assist you with getting ready for duck season. 1. Plan accordingly with taking a look back at last year’s season. Hopefully you keep a journal or some sort of record for number of ducks caught, duck feeding patterns, locations, weather conditions, etc. Knowing what worked last year will help you determine what will or won’t work this season. 2. Practice, practice, practice that duck call. Perfecting that famous sound will guarantee the attraction of ducks nearby. Birds respond to the very unique and intricate sound of a duck call so you want to tune into yours ahead of time. When you practice, do so with purpose not at random. Make sure you clean your calls and inspect the reed for problems. 3. Inspect your shotgun and hone in on your hunting skill. These two tips go hand in hand. If your shotgun is in perfect shooting condition, make sure your shooting skills are in tiptop shape. When practicing at the range, in the backyard or wherever you plan to, remember you are not shooting for points, you are shooting to get back on target. Pluck A Duck has been very busy gearing up for the upcoming duck hunting season. We are excited and determined to have the best season yet. If you would like to join, contact us today.